Motorists accept speed cameras says AA | What Car? The UK's speed camera-switch off caused by the slashing of road safety budgets could create a public backlash rather than win the hearts of motorists, the AA has warned. 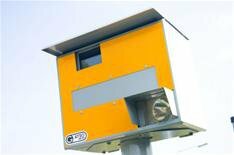 It reckons the views of motorists aren't being properly reflected in the debate on speed cameras and it claims lives will be put at risk as more cameras are cut. According to the AA's survey, 69% of 15,000 AA members polled accept the use of cameras, while local residents near the first switch-offs in Oxfordshire report speeds have already increased. The AA believes the Government's announcement that there will be no new funding for fixed speed cameras, and a 37% cut in road safety budgets, will cost lives. The AA believes cameras have a vital role to play in safety there is an 80% chance a pedestrian will be killed by a car travelling at 40mph, compared with an 80% survival rate at 30mph. It has raised the issues in a letter to transport secretary Philip Hammond and says it will discuss the speed camera switch off with ministers in a meeting soon. Do you back the use of speed cameras? Vote in our poll on the whatcar.com homepage to register your view.